This Monday the Hammond-Harwood House hosted the event “Collector’s Corner Workshop: Silver Cleaning & Care.” Cohosted by our very own Allison Titman and the wonderful Samantha Dorsey from The City of Bowie Museums, the event welcomed other museum professionals and interested members of the community. 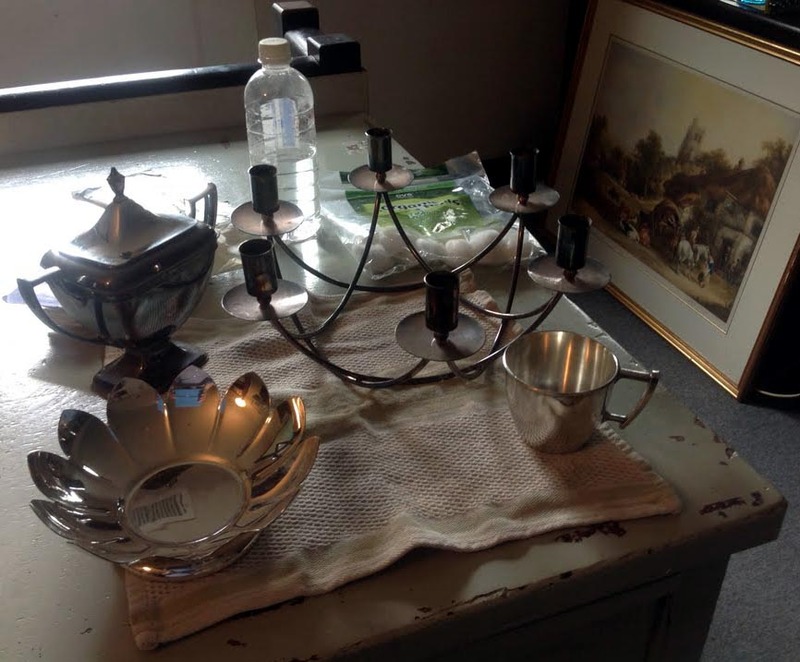 The workshop discussed the differences between sheet, raised, and cast silver, what tarnish is and how to remove it, and the best methods of storing and displaying silver pieces. After the discussion, everyone got down to business and tried their hand at polishing some silver. Everyone put on their nitrile gloves and dipped their cotton balls into a mixture of calcium bicarbonate and distilled water. The results were quite astounding – pieces that originally looked dark brown or almost black transformed into a shiny silver. Interns Brianna Arnold and Tara Owens spent the next couple of days putting their newly acquired skills to work polishing various pieces of the Hammond-Harwood House silver collections. This workshop was just the beginning. Planning for additional Collector’s Corner Workshops are underway. Topics to be discussed include furniture and textiles. Stay tuned for additional information regarding the dates and locations of future workshops, and please let us know if there is a topic of interest you would like to have included in an upcoming workshop. We are always open to suggestions. On snowy Friday afternoons my thoughts can’t help but turn to hibernation. Or at least a long nap in a cozy bed. 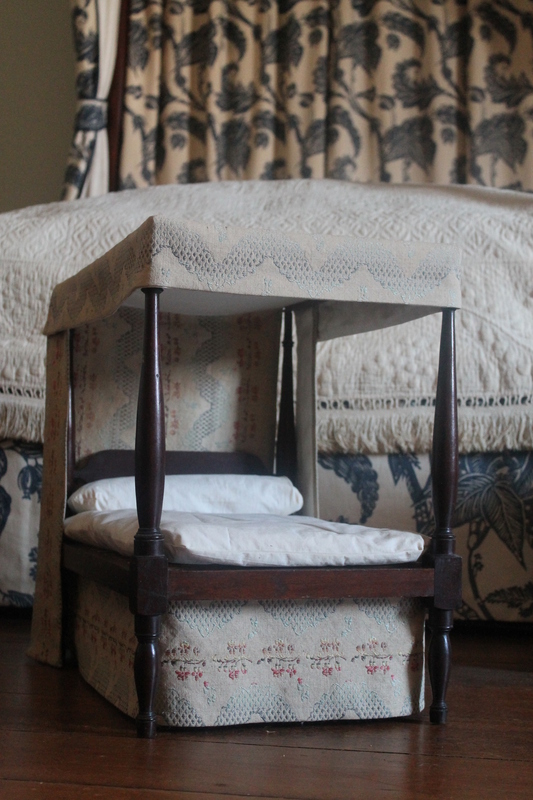 If I wasn’t such a rule-abiding curator, I could curl up in the high-post bed in the Northeast Bedchamber and put my doll (or cat!) in the miniature bed at its foot. But since I think someone would notice if there was snoring emanating from the furniture, I’ll have some coffee and get back to work.